Simple economics determine whether or not alternative fuels for automobiles reach the critical mass necessary to make them viable. As gasoline prices rise, automakers have the motivation to look into other fuel sources that may have been deemed too expensive to produce. In the past, the very nature of the diesel engine demanded that it be loud, smelly and dirty, but significant progress has been made towards making diesel-burning engines as driver and consumer friendly as their gasoline counterparts. These new generation diesel vehicles are hard to distinguish from regular gas cars and the BMW 335d is a perfect example of this. Built to demanding BMW specifications, the 335d car delivers everything consumers have come to expect from the German brand, including style, luxury and performance, all while being greener and more fuel conscious at the pumps. Make no mistake, this is a BMW, tried and true. The 335d delivers a sporty ride, quiet cabin and plenty of torquey power thanks to the twin-turbocharged inline six-cylinder diesel engine. Thanks to the dynamic exterior styling, there’s no mistaking this sedan for anything but the best Germany has to offer. Then there’s the fuel economy, which is phenomenal at 23 mpg city, 36 mpg highway, not to mention lower CO2 emissions. All that extra fuel economy comes at a price – a solid $4,600 over the base 335i, to be exact. At that rate, it’ll take you a good while to break even from fuel savings on your initial investment, but like buying an Apple over a PC, you get what you pay for. The 335d is only available as an automatic, which may be a turnoff for some. Diesels produce significantly more torque than their gasoline counterparts, but almost nothing can compare to the thrust produced by the twin-turbo inline six-cylinder diesel engine – it is almost as if BMW made an M3d. The car produces 425 lb-ft of torque and turbo lag is kept to a minimum thanks to an incredibly well adjusted forced-induction system. Stepping on the accelerator becomes a guilty pleasure as you almost end up begging for a stoplight just so you can feel the kick off the line. BMW has worked tirelessly to keep the 335d true to their “Ultimate Driving Machineâ€ mantra, keeping the weight balance close to the hallowed 50/50 front/rear distribution. 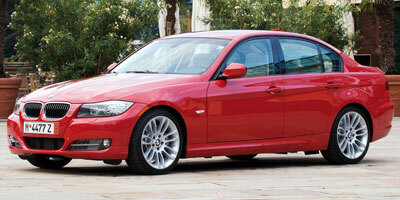 The 335d is one diesel that can handle the power on tap, carving up on ramps and undulating back roads with ease. Powered by a 3.0-liter, twin-turbocharged inline six-cylinder engine, the 335d produces 265 horsepower and 425 lb-ft of torque. The engine is mated to a six-speed automatic transmission that powers the rear wheels. Thanks to the improved fuel economy in the 335d, this car has a range of around 580 miles, or around the distance from Washington, D.C. to Detroit. BMW has completely reworked its iDrive user interface system to be much more intuitive and, let’s face it, cooperative than the previous iterations. While earlier versions left users looking for the nearest hammer to pull the navi out of the car, the new version is much simple to use. A series of graphic menus allow users to pilot their way, left to right, toward their intended choice. The change is more than welcome, and cures a serious hindrance to the 335d’s driving enjoyment. As with other BMW’s, there’s plenty of technology available from the dealer. The 335d can be had with GPS navigation for an extra $650 and Sirius Satellite Radio for $565. For the iPod savvy out there, BMW will be happy to incorporate an interface for your media player for $320. Not surprisingly, this is where the 335d really shines. With 23 mpg city and 36 mpg highway, this sedan trumps its gasoline counterparts by about 6 mpg city and 10 mpg highway. BMW has managed to keep diesel emissions down by utilizing a similar technology to Audi and Mercedes-Benz, injecting a urea solution into the exhaust to neutralize nitrous oxides before they exit the vehicle. The result is a massive drop in emissions over similar diesels without the technology. Inside, the 335d carries on the legacy the rest of the 3-Series has established. Comfortable seating, excellent materials and a well executed dash all wait to greet occupants. While some have complained BMW’s styling has leaned too far toward its Japanese competitors, we think the muscular look of the nose and sculpted body panels fit the sedan well. The car looks just as at home in the parking lot of the local grocer as it does tearing down a country road. Priced at $44,725 with handling and destination fee, the 335d isn’t cheap. In fact, it lands a full $4,625 more than the gasoline 335i. That price tag puts it in the same league as the company’s much larger 528i at $45,500, the Audi A6 3.2 at $42,950 and the Mercedes-Benz E320 BlueTEC Sedan at $55,075. Still, of those, the E320 is the only one that offers diesel efficiency, and it costs significantly more than the 335d, making the BMW a relative bargain. What BMW has managed to accomplish with its diesel 335d is nothing short of amazing. Thanks to significant engineering geared towards keeping the car quiet, it’s nearly impossible to tell this BMW from its gasoline counterparts. It’s quiet and powerful, all while delivering the fuel economy of a much smaller, less comfortable vehicle. Its staggering 580 mile range makes for the ultimate road-trip vehicle, all while looking no different than the rest of the sharp-looking 3-Series fleet. Is it worth the $4,600 premium? We think so. The 2009 BMW 335d offers all of the creature comforts BMW has come to stand for along with the performance we all associate with the “Ultimate Driving Machine.â€ At the same time, multiple innovations allow for fuel economy on par with cars half the size of this 3-Series, delivering the best of power and efficiency. What’s more, the company’s use of a urea additive to the exhaust neutralizes diesel emissions—making the 335d one of the cleanest diesels the company has ever produced. After driving this BMW, there’s little wonder as to why diesels account for 67 percent of the vehicles the company sells in Europe. The twin-turbocharged 3.0-liter inline six-cylinder engine provides a staggering amount of power as well—a full 160 lb-ft of torque more than the coveted M3. Though the initial price tag is significantly steeper than the gasoline-powered 335i, those interested in emissions, power and efficiency will find the 335d well worth the money.